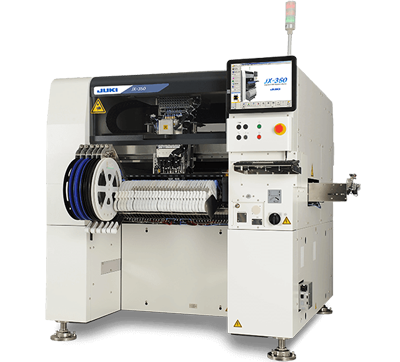 The KE3010 is a 7th generation modular placement machine from Juki and represents the latest leading-edge technology for improved flexibility and production quality. 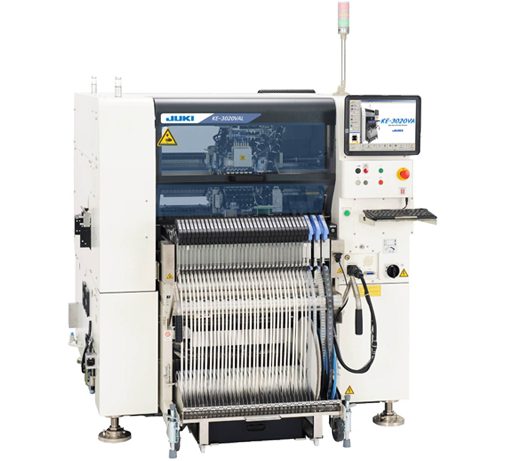 It supports a hybrid feeder mix of electronic and mechanical feeders with up to 160 dual lane electronic 8mm tape feeder capacity per machine.Maximum board size is 22"x24". With a multi-nozzle (six nozzles) laser head, the KE3010 has a placement speed of 18,500CPH (IPC9850). 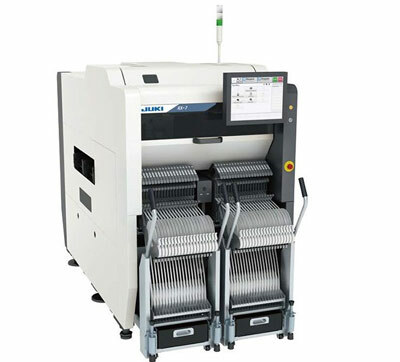 JUKI’s RX-7 is the perfect solution for companies looking to assemble printed circuit boards with a large variety of components – in particular micro-components – in order of equipping large volumes. 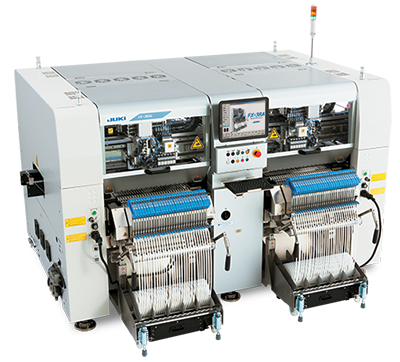 The compact design of the RX-7 with a machine width of less than one metre offers competetive productivity in a very small space – unsurpassed in the industry. 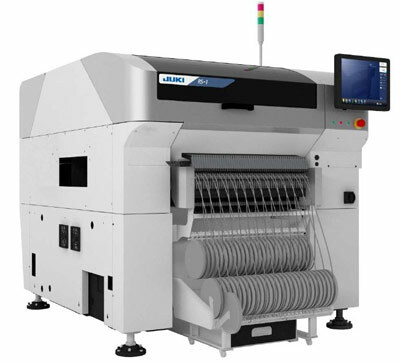 JUKI’s RX-6 is the perfect solution for companies in need of a wide variety of components and large printed circuit boards as well as having to depend on quick product changes as well as high quality. 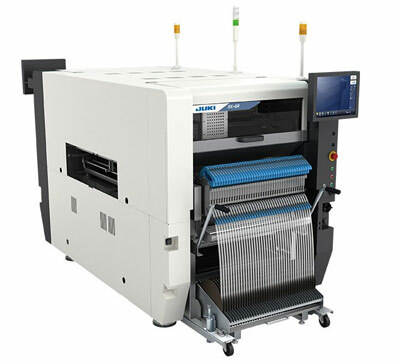 The high-speed compact modular mounter is suitable both for small and large volumes. 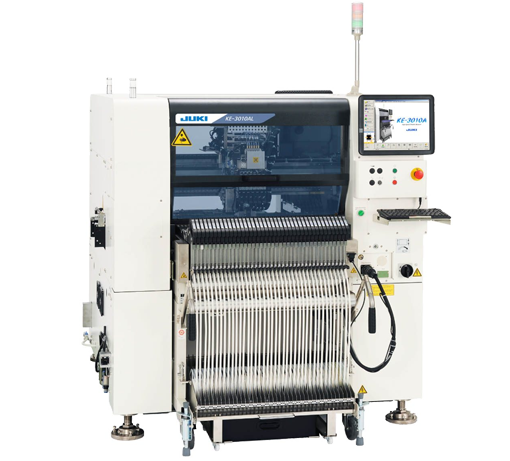 Due to the compact design of the machine featuring a width of only 1.25 meter the RX-6 displays a smart solution in the case of production floor space being an expense factor.